The Energy Cooperative’s Kids Day! Sunday, June 24 at The Works. 55 South First Street in Newark. Pony rides, carriage rides, puppet shows, games, inflatables, crafts for kids, yummy treats, goody bags (while they last), and interactive displays for the whole family! The new Scidome Planetarium will also be open! The Scidome features both planetarium and full dome production shows to explore the earth, moon, sun, space, and more. This event is FREE and open only to members of The Energy Cooperative, their children, and grandchildren.  Bring a copy of your bill or the ticket found in the May-June Energy Cooperative Times Newsletter. Watch a short video of Kids Day 2017!